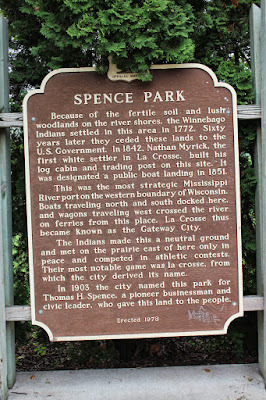 Because of the fertile soil and lush woodlands on the river shores, the Winnebago Indians settled in this area in 1772. Sixty years later they ceded these lands to the U.S. Government. 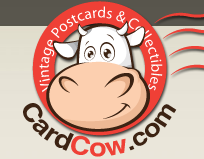 In 1842, Nathan Myrick, the first white settler in La Crosse, built his log cabin and trading post on this site. It was designated a public boat landing in 1851. This was the most strategic Mississippi River port on the western boundary of Wisconsin. Boats traveling north and south docked here, and wagons traveling west crossed the river on ferries from this place. La Crosse thus became known as the Gateway City. The Indians made this a neutral ground and met on the prairie east of here only in peace, and competed in athletic contests. Their most notable game was la crosse, from which the city derived its name. 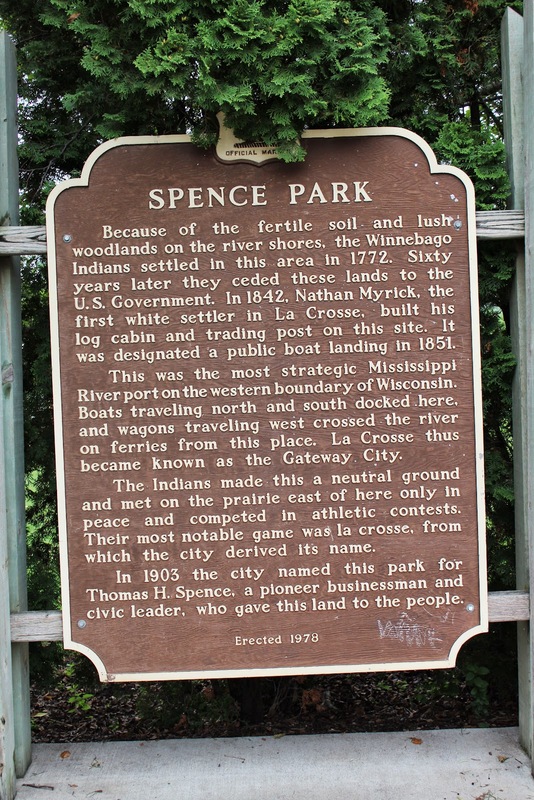 In 1903 the city named this park for Thomas H. Spence, a pioneer businessman and civic leader, who gave this land to the people. 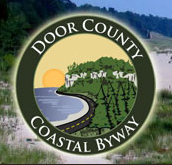 The marker is located at the intersection of State Street and Front Street North, two blocks west of 3rd Street North / U.S. Highway 53, just before the entrance to Riverside Park, La Crosse, Wisconsin 54601. At the entrance to Riverside Park.